Happy Friday! What plans do you have for the evening? I’ll probably be asleep on the couch by 8:17 PM so I’m sure your plans won’t top mine. 😉 Is it just me or does the exhaustion from the whole week hit on Friday at around 6 PM? As you know, Teton has luscious flowing locks. Surprisingly, they don’t take a lot of maintenance (thank goodness). He’s bathed about once a month and brushed no more than two times a month. We’re pretty lucky that his hair doesn’t get matted or tangled. And, bonus! His hair doesn’t smell like “dog.” Or at least, that’s what our friends tell us. While keeping Teton’s locks in check isn’t too much of a challenge, keeping our floors dog hair free is. A Dyson was probably one of the best investments we made, but just vacuuming doesn’t always cut it. While I mentioned above that Teton is only brushed two times a month, I should specify that these brushing sessions are legit. Too legit, in fact, to quit. Seriously. We can’t stop or there would be a layer of Teton hair in every room of the house. 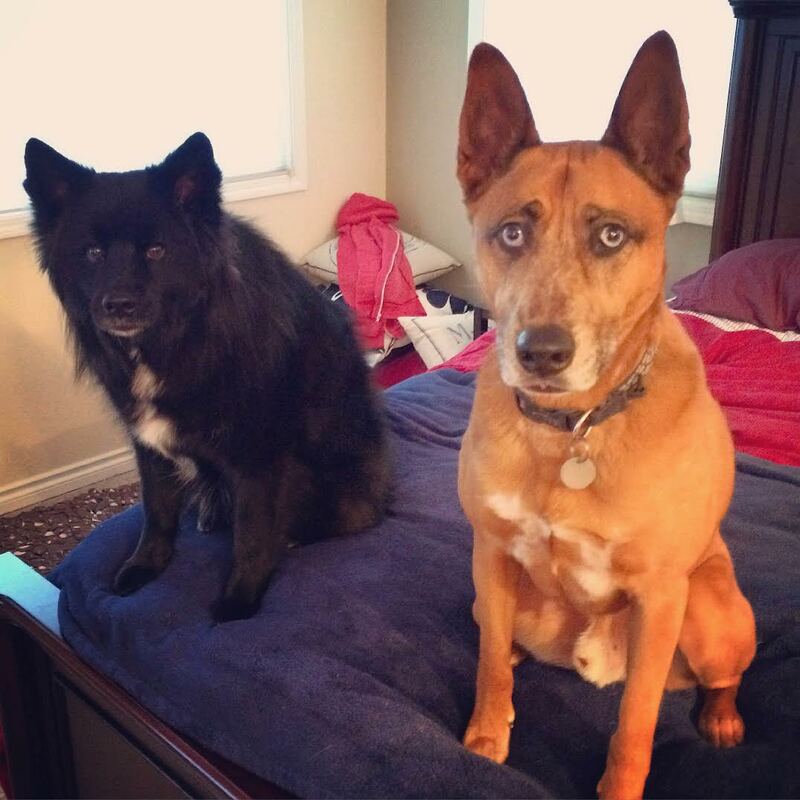 Are all dog brushes created equal? We haven’t tested many but this past week we got to try out the FURminator Dual Brush from Chewy.com. A picture of a dog brush is meh enough so I won’t bore you with more photos of it. This particular brush from FURminator is two brushes in one. One side is a pin brush and the other is a bristle brush. Ok, just kidding. There’s one more photo. 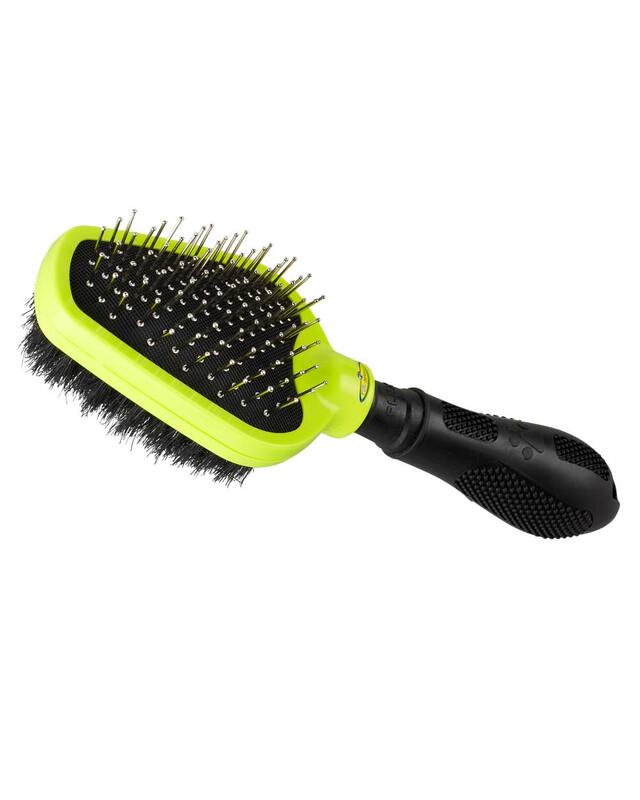 The pin brush is for either long-haired dogs or to aid in working toward management of the undercoat, while the bristle brush is for smoothing the hair. You can use both sides on either long-haired or short-haired dogs. Who does this work well on? Short-haired dogs like Biju have very different hair than long-haired dogs like Teton. The FURminator Dual Brush was perfect for Biju because his short hair took less pull to come out with the pin brush than Teton’s long hair and the bristle brush smoothed his hair nicely. If you’re in the market for a new brush or want to try something that’s made for a specific grooming purpose like detangling, check out Chewy.com’s Brushes and Combs assortment. 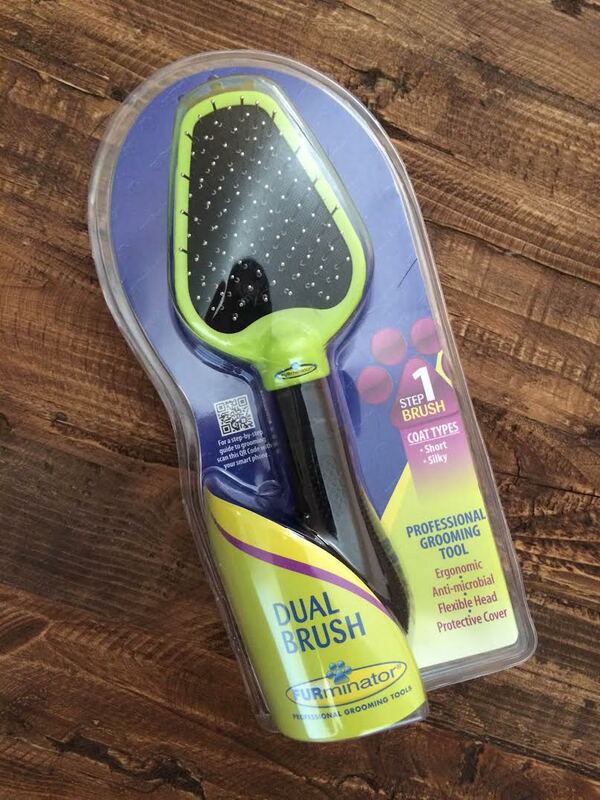 All FURminator products are on sale (the Dual Brush is less than $10), too! 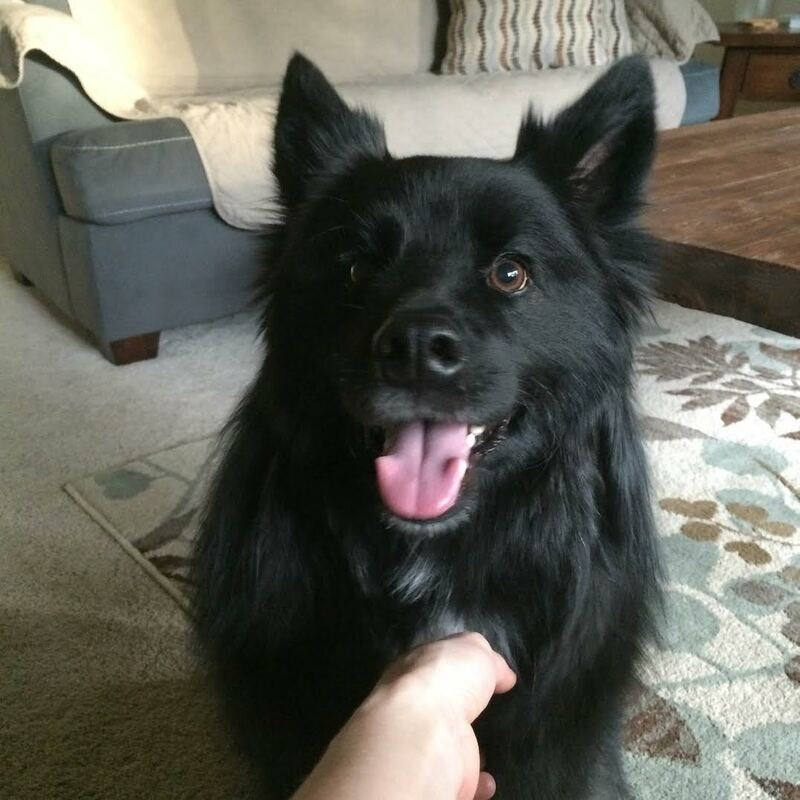 Posted on April 17, 2015 April 17, 2015 by Shannon	This entry was posted in Beauty Parlor and tagged Chewy.com, Grooming. Bookmark the permalink.